ITVDavid Mesher on ‘Good Morning Britain’ on Friday. Many people took issue with Ryanair’s response, which was to relocate the woman. Some have threatened to boycott the airline. 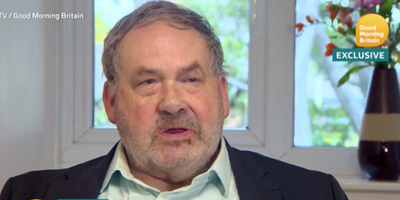 A man who was filmed shouting racist insults at an elderly black woman on a Ryanair flight last week blamed his actions on a “fit of temper” and denied that he is racist in an interview with “Good Morning Britain” broadcast Friday. Mesher was identified by news outlets on Wednesday as the man in a video – posted by another passenger, David Lawrence – shouting the insults at Delsie Gayle, 77, who had been assigned the seat next to him for a flight from Barcelona, Spain, to London Stansted Airport on October 19. Several people online have threatened to boycott Ryanair over what they say is the airline’s insufficient response to Mesher. Mesher apologised to Gayle in the interview on Friday. She and her daughter Carol rejected the apology, the BBC reported on Friday. Police in Spain and the UK have said they are investigating the incident. Officers have been seen visiting Mesher’s home in Birmingham, England, but have not taken formal action.